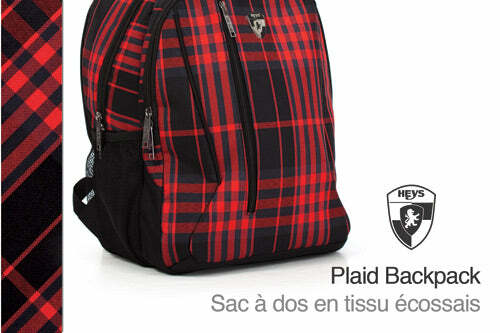 The Plaid Backpack delivers comfort and quality at an affordable price. 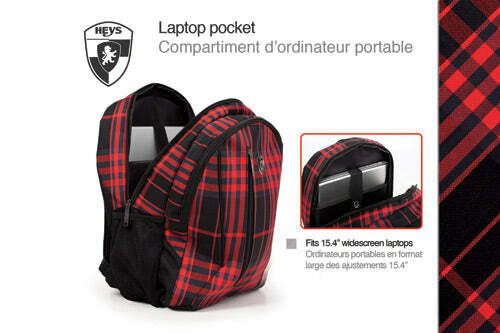 Outfitted with a distinct plaid fabric, the backpack also comes with a set of functional features. The curved shoulder straps wrap around your shoulders securely and the foam padding cushion the weight of the pack on your shoulders. 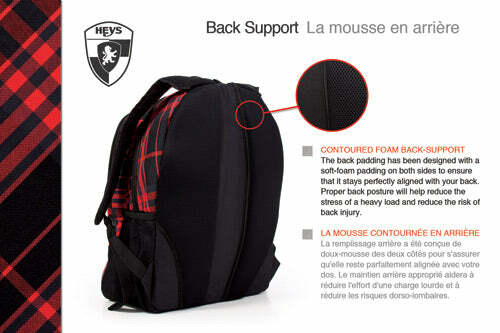 The backside features a contoured foam back-support that comforts your back while allowing for air circulation at the same time. The interior has a laptop pocket that can fit 15.4" widescreen laptops. It also comes with an interior organizer for your cell phone, pens, and accessories.